With a passion for family medicine, functional medicine, and health and wellness, Allie Nowak traveled from Iowa City to Hanoi, Vietnam in service of others. While in Vietnam, she provided care to disabled and orphaned children, something that has since shaped her education and career goals. Every person I meet has their own unique life story; I love helping my patients make educated decisions about their health. Interested in the root causes of illness and the healing properties of a healthy lifestyle, Allie holds the designation of ADAPT Trained Health Practitioner from Kresser Institute, the only functional medicine and evolutionary health training company. The program is the gold standard for those interested in looking at the body as an integrated whole and understanding how and why illness occurs and how to restore health by addressing each individual’s needs and conditions, rather than just the symptoms. Allie previously practiced as a Physician Assistant for Allina Health at the Family Health/Urgent Care clinic in Minnetonka as well as a Nursing Assistant and Bionutrition Intern for the University of Iowa Hospital. While participating in the Maternity Observation for Medical Students (MOMS) program, Allie honed her interest in family medicine with a focus on prenatal wellness. 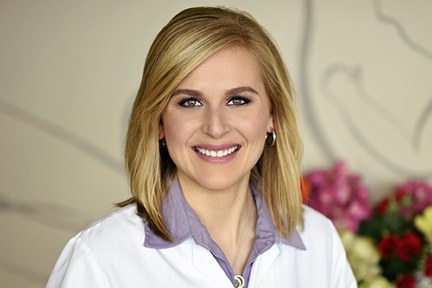 She brings her gifts of insight, focus, compassion and wellness to each patient she sees at both the Edina and Maple Grove locations. My experience in family practice has uncovered my passion for women’s health. It is evident that the providers and staff at Clinic Sofia strive for patient’s physical and emotional well being over their lifetime, which are characteristics I value. A lifelong runner, Allie also served as Assistant Cross Country and Track Coach at Cornell College and was honored with the Russell Landis Award, honoring an individual who demonstrated academic excellence, campus leadership and athletic achievement.